Check out this cheeky little act of treason! 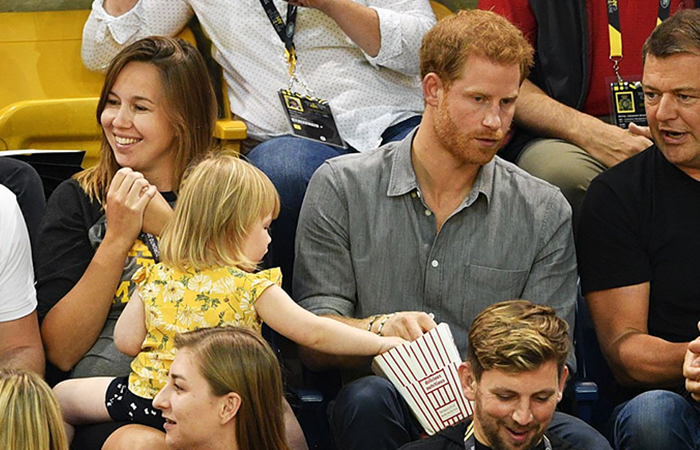 While Prince Harry, taking in the Invictus Games in Toronto, Canada, was handily distracted by the gentleman next to him, little Emily Henson decided to take her chance. Without the slightest deference to Harry’s royal status, Emily brazenly helped herself to the Prince’s popcorn, nabbing numerous sneaky freebies before Harry finally clocks on.